They were a mix of breeds and sizes, ranging from puppies to seniors. 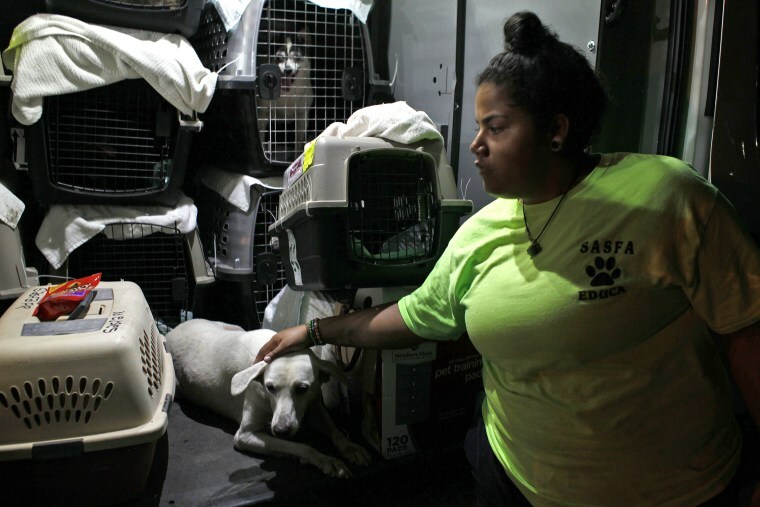 All faced a grim future in Puerto Rico animal shelters. 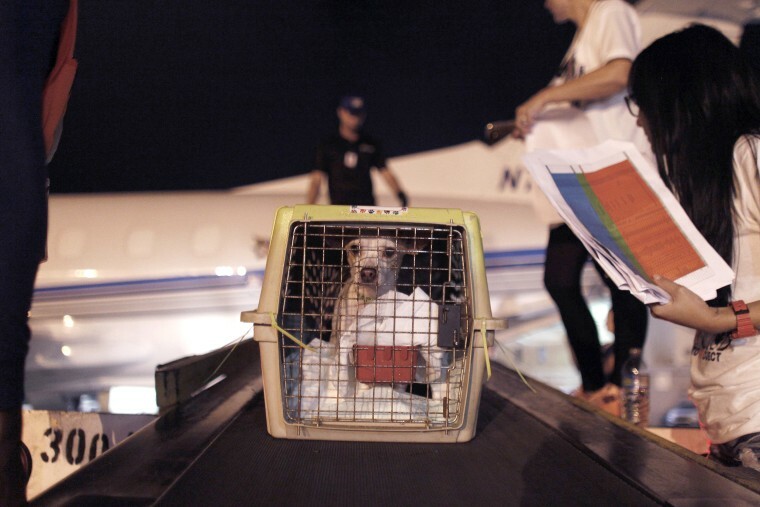 A dog is loaded into a charter plane for an airlift to the U.S. on August 22, 2017 in San Juan, Puerto Rico. 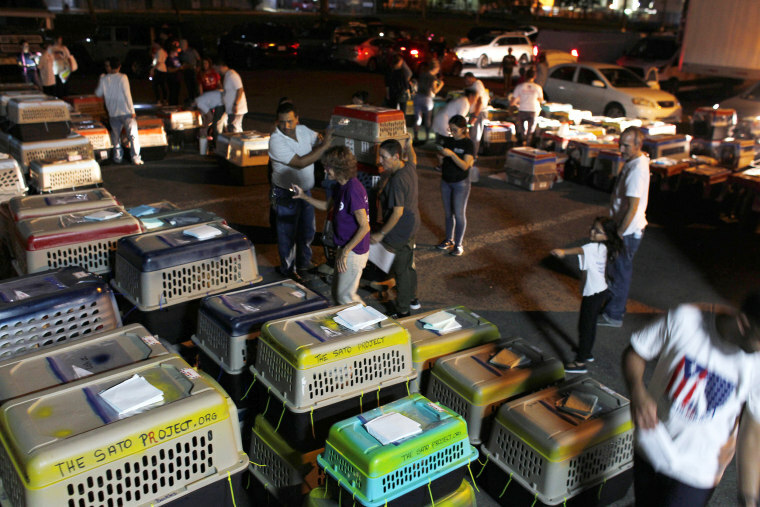 Various organizations have flown dogs out of Puerto Rico to the mainland in recent years, but this latest effort is believed to be the largest in a single trip. The island territory has struggled with dog overpopulation for years due to factors such as poorly funded shelters and low spaying and neutering rates. An economic crisis has forced many islanders to abandon their pets as they decide to leave for the U.S. mainland. 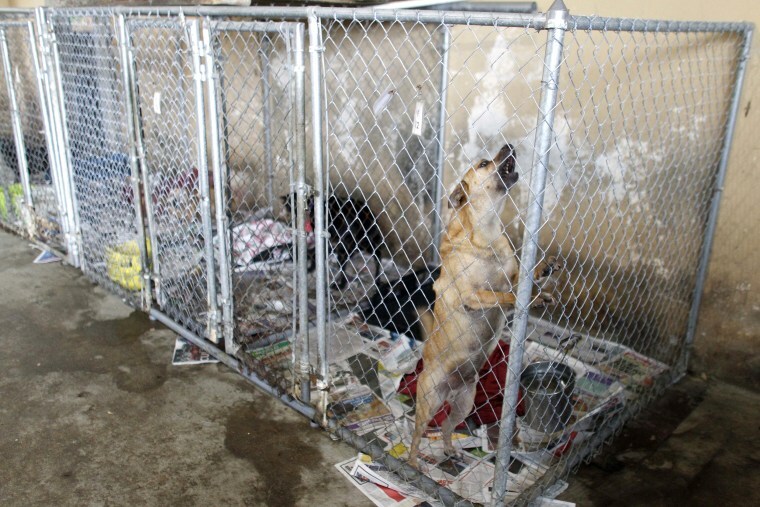 Dogs are seen inside pens at the San Francisco de Asis Animal Sanctuary in Cabo Rojo, Puerto Rico. 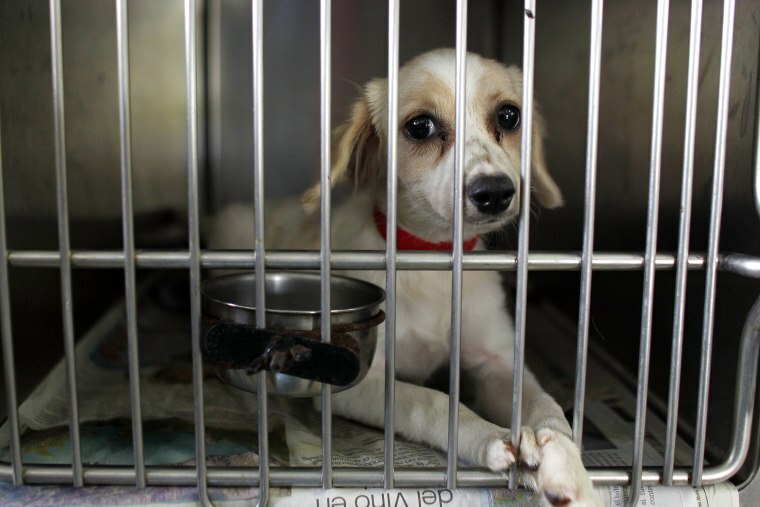 A dog sits inside his kennel at the Villa Michelle Animal Shelter in Mayaguez, Puerto Rico. This was one of 206 abandoned dogs that were flown from Puerto Rico to the U.S. mainland in an airlift organized by a coalition of rescue groups working to ease an overpopulation problem on the island has that resulted in almost certain death for stray and abandoned animals. A volunteer comforts a dog while waiting to get airlifted to the U.S. in San Juan, Puerto Rico. 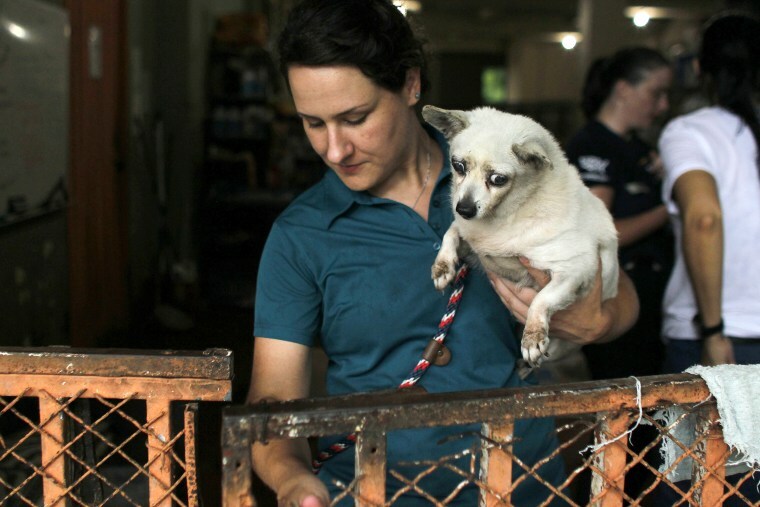 "The shelters in Puerto Rico have no choice," said Kimberly Alboum, director of policy engagement and shelter outreach for the Humane Society of the United States, one of the groups that organized the airlift. 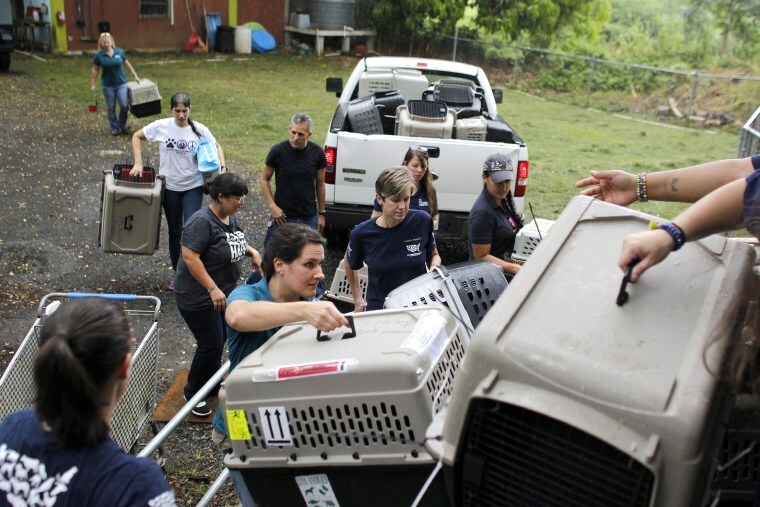 Volunteers visit the San Francisco de Asis Animal Sanctuary in Cabo Rojo, Puerto Rico. Puerto Rico has struggled with dog overpopulation for years due to factors that included poorly funded shelters and the fact that many people neglect to get their pets spayed or neutered. A volunteer carries a dog from the San Francisco de Asis Animal Sanctuary to a van to be transported to the airport to get airlifted to the U.S., in Cabo Rojo, Puerto Rico. The dogs were a wide mix of breeds and sizes and ranged from puppies to seniors. 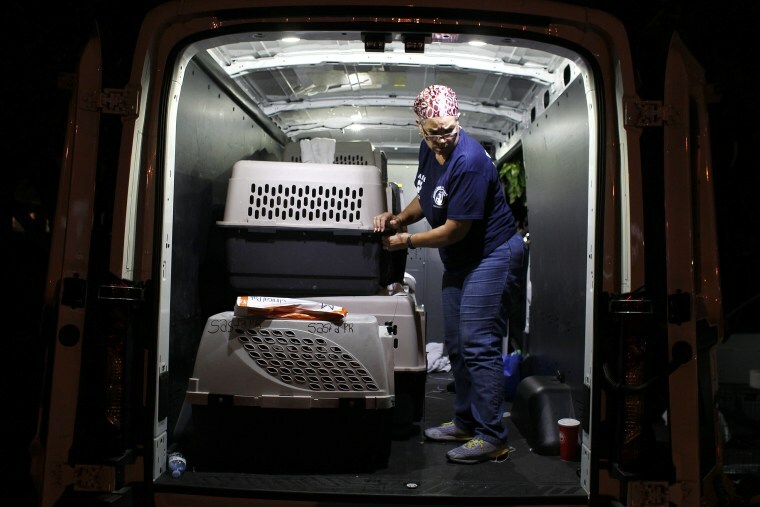 A volunteer unloads dogs from a van at the airport to get airlifted to the U.S. mainland. Volunteers load empty dog crates into a truck as they prepare to airlift the dogs to the U.S. from Mayaguez, Puerto Rico. 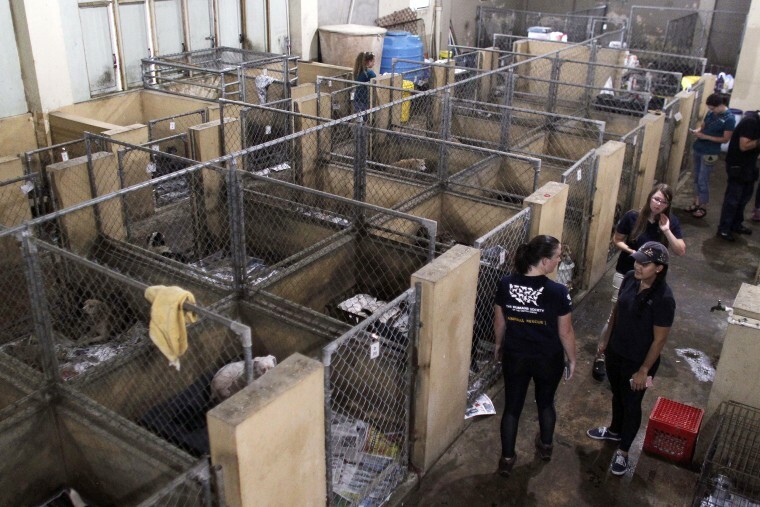 Volunteers organize dogs in kennels prior to an airlift to the U.S. from San Juan airport. The dogs were checked by veterinarians and then flown in two planes provided by a group called Wings of Rescue. 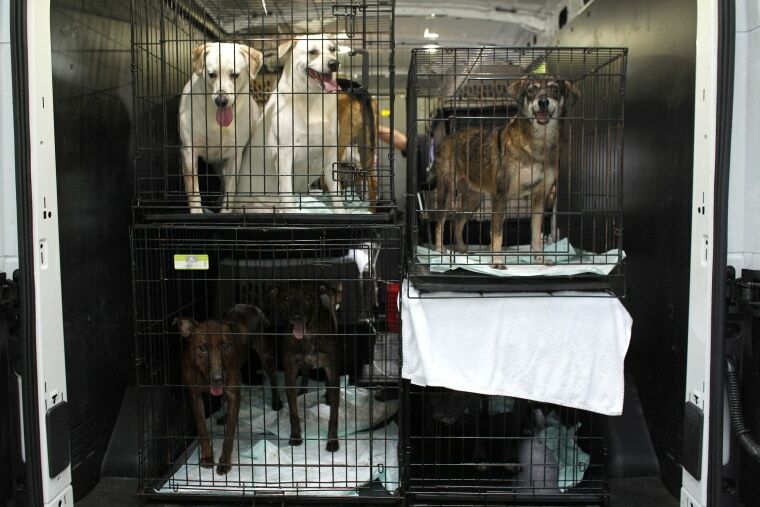 Dogs from the San Francisco de Asis Animal Sanctuary stand in kennels inside a van, in Cabo Rojo, Puerto Rico.